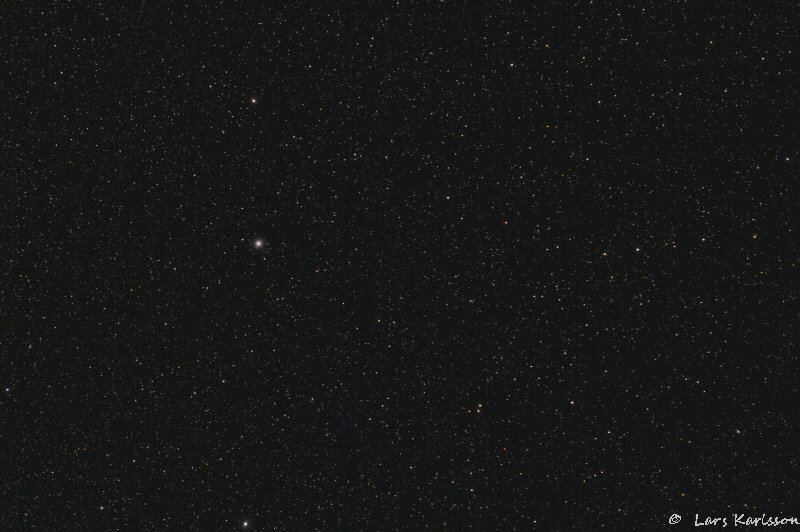 Comment : Globular cluster are one of the few objects that you can catch even if the light pollution is high. 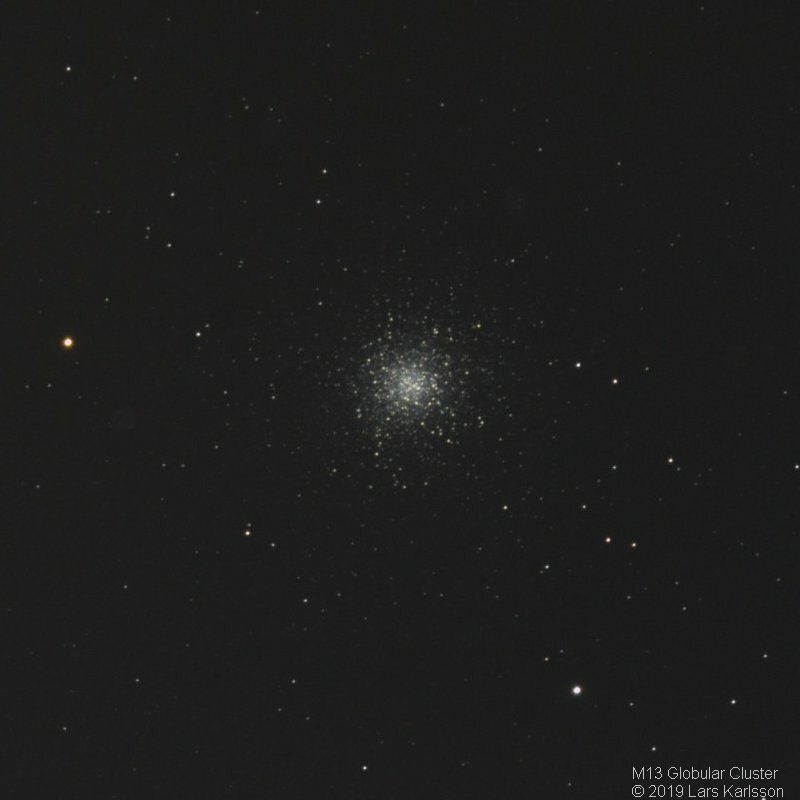 This is the first image of M13 where I have the telescope setup for 910 mm focal length. Compare with the photos below. 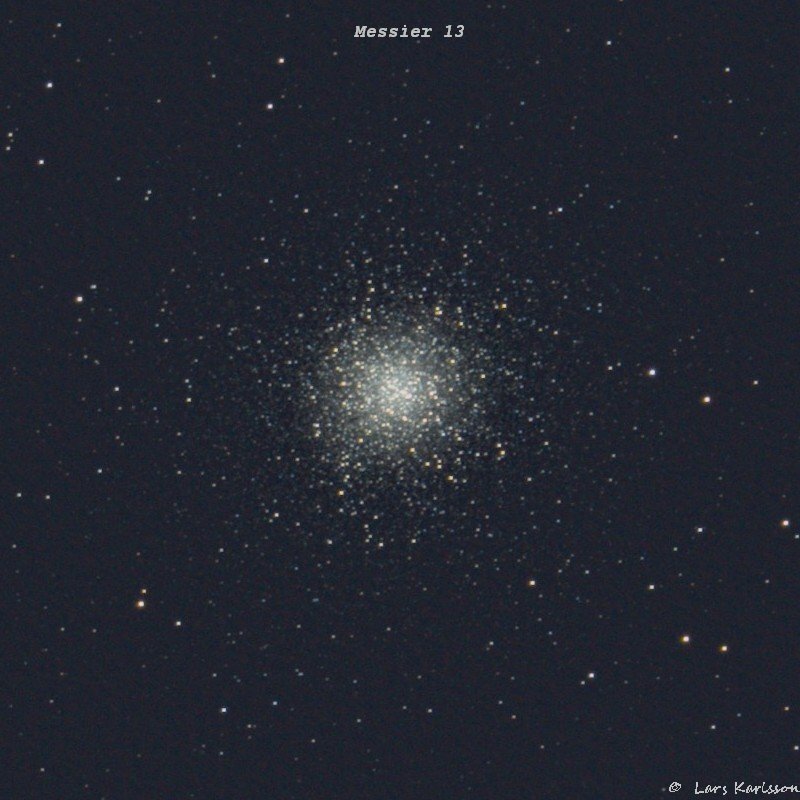 Comment : Wide angle version, at this photo M13 looks like a bright star. This photo was taken under the Mariestad Starparty, Under the Stars. We got a very dark night almost free from clouds. It gave me a chance to do more test with different setting. This time I lowered the iso setting to 400 to achieve more dynamic. 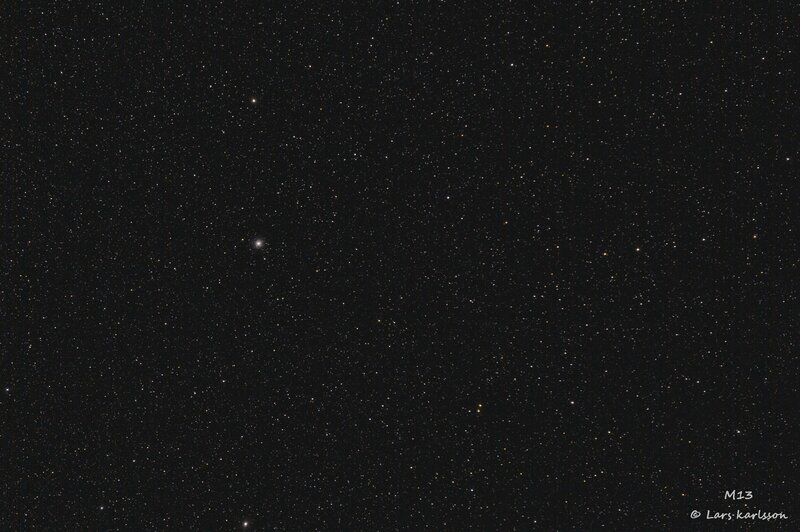 The image is processed in the AstroImageJ software which I have developed macros to. 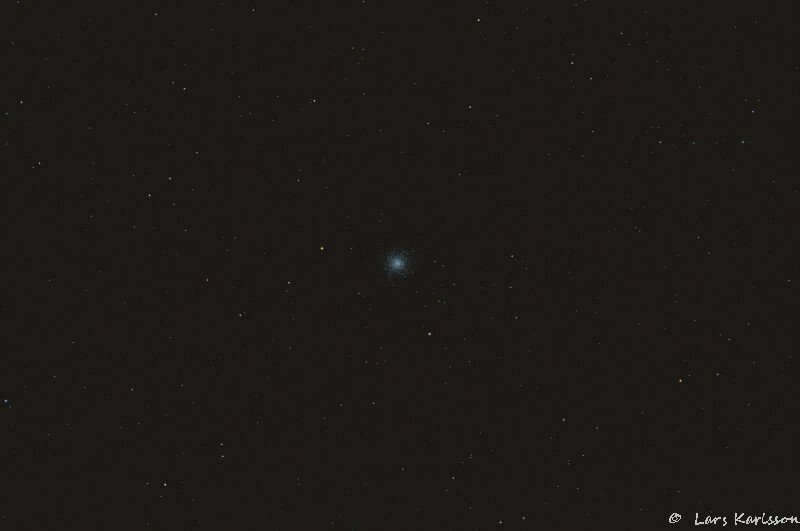 It need that I have taken the images with dithering, now I didn't had that possibility with this mount, but polar align was not perfect so I got some kind of dithering, enough to get rid of the hot pixels. The Sigma 150mm APO 2.8 give me very sharp stars compare to other lenses I have. And it will be better when I have practice the polar align process better. 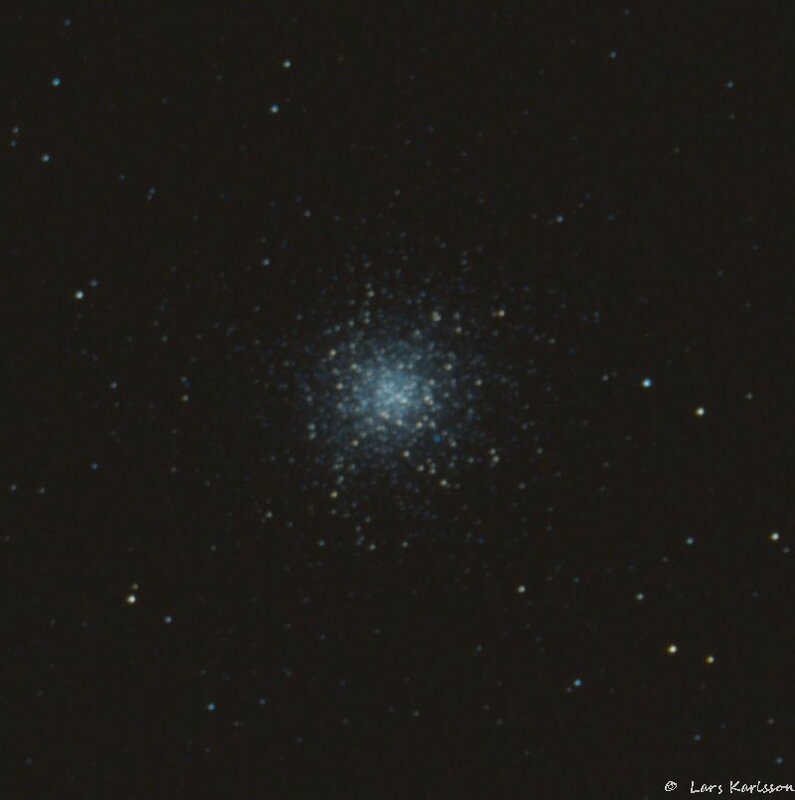 Comment : A new shot on M13, no calibration, only dithering to get rid of hotpixels. 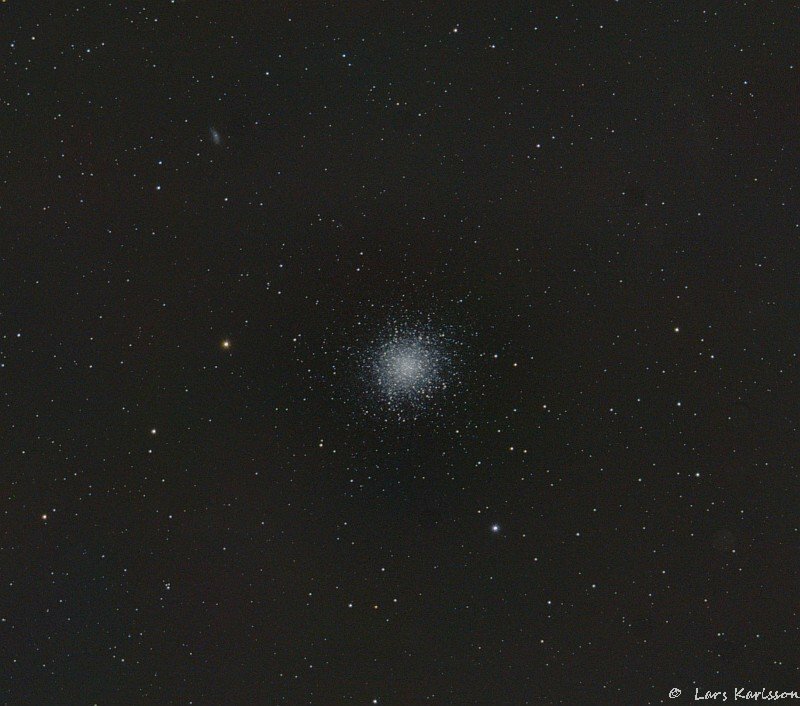 Comment : First shot with my Canon 6D on M13. Comment : An easy shot even under my light polluted area.